I have always considered beef tenderloin a “high stress” meal and given it a wide berth. This is an expensive cut of meat—it’s not one that you want to mess up by trusting an untrustworthy recipe or forgetting to set a timer. Add to this, roast beef tenderloin most often appears on menus around the holidays. I’ve never quite been able to overcome the terrifying possibility of ruining both a wage-devouring cut of meat and Christmas dinner. But then I started doing more sous vide cooking, and with it came a confidence in cooking things that previously intimidated me. Like fish. And pork chops that actually taste like something. Maybe, just maybe, it could do the same for beef tenderloin. Spoiler alert: Of course it could. 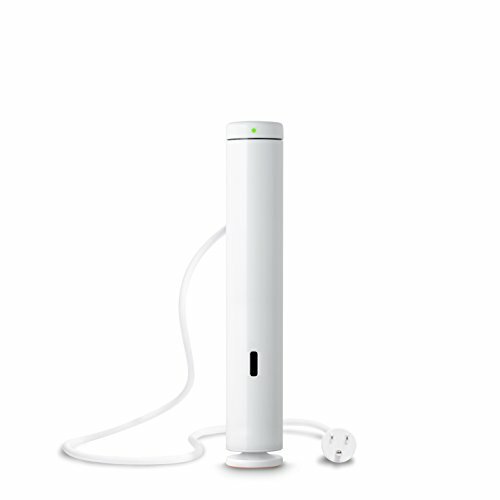 New to sous vide? Take a look at this post to see what the fuss is about! Let’s talk about beef tenderloin for a second. This cut comes from the center of the loin, where the muscle is very tender and lean (not a lot of fat). Typically, this cut is sliced into the individual steaks we know and love called filet mignon. It’s a small cut, usually weighing less than 8 pounds total. When you compare that to the size of a fully-grown steer and how much meat that steer can provide, you begin to understand why the tenderloin is such an expensive, coveted cut of meat. The fact that it’s tender actually makes it really easy to cook—but also very easy to overcook. Tenderloin can easily go from melt-in-your-mouth to tough and chewy if you take your eye off it for a second. This is where sous vide comes into play. Sous vide is a very gentle and slow kind of cooking. The beef is coddled in the sous vide water bath, cooking gradually in its own juices over the course of a few hours. The sous vide immersion circulator (I use a Joule) also keeps the temperature tightly controlled, so the tenderloin never has a chance to overcook. Basically, it takes out the guesswork and the potential for human error, giving us a 100% stress-free meal. To make this beef tenderloin even more special, I give it a double-sear: once before it goes into the sous vide bath and again after it comes up. The first time builds flavor in the dish; the second time gives the cooked roast a nice outer crust. Use some port wine (I like tawny port) to deglaze the pan, then pour it over the beef. While it cooks, the beef picks up the rich flavor of the port—so good. And, of course, cooking juices become a delicious sauce that you can serve alongside the roast. Slice it thinly like roast beef or thick like filet mignon—either way is a winner. While the tenderloin was cooking sous vide, I spent the time roasting a few sheet pans of winter vegetables and making a of polenta to serve alongside. One and half pounds of beef will comfortably feed four people; two pounds will feed six. You can stretch it to feed a few more people if you are serving the tenderloin with several other dishes on the table. When buying your tenderloin roast, make sure the butcher removes the silver skin. Also ask them to truss the roast with twine. You can do both of these steps yourself, but it's one less thing for you to worry about back home! 1 Sear the beef tenderloin: Sprinkle the tenderloin with salt and a generous amount of pepper. Heat 1 tablespoon of oil in a 10-inch skillet over medium-high heat. When the pan is hot enough, a drop of water should sizzle and quickly evaporate on contact. Sear the tenderloin in the pan until it's dark brown all over, 1 to 2 minutes on each side and both ends. Transfer to a plate or cutting board and allow to cool slightly. 2 Make the port-garlic sauce: While the pan is still hot, add the butter and garlic. Cook until the garlic is golden and fragrant, 30 to 60 seconds. Add the port wine and use a stiff spatula to scrape up any browned bits from the bottom of the pan. Let the wine come to a simmer, then remove from heat. 3 Seal the tenderloin in a zip-top freezer bag: Make sure the tenderloin and sauce are no longer steaming. It's fine if they are still quite warm, but they can melt through the bag if they're still steaming hot. 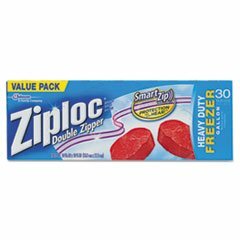 Place a gallon-sized zip-top freezer bag on your counter and flip the zip-top edge outward, forming a cuff around the bag. This helps the bag stay open and upright as you fill it. Transfer the tenderloin to the bag and pour the sauce over top. Lay 5 or 6 sprigs of thyme over the top of the tenderloin. 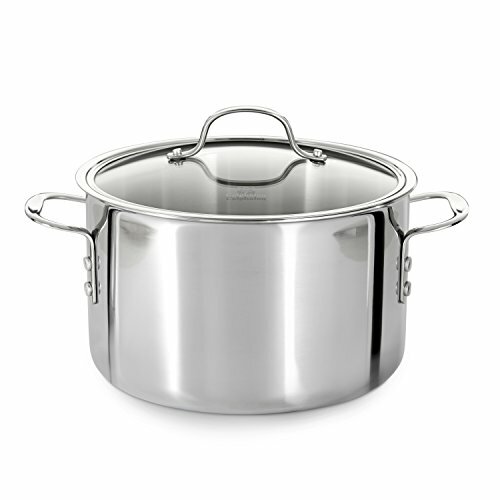 Fill a stock pot with 5 or 6 inches of water. Slowly submerge the tenderloin in the water, using your hands to help push out all the air from the bag as you go. When you reach the top of the bag, zip it closed. Lift the tenderloin out of the water and place it on a towel while you heat the water for the sous vide. 4 Heat the water for sous vide cooking: Place your Joule or other sous vide immersion circulator in the stockpot of water. Set the sous vide immersion circulator to heat the water to 133°F for rare beef, 140F for medium-rare (my preference), 149°F for medium-well, or 167°F for well-done. 5 Cook the tenderloin sous vide for 2 1/2 to 3 hours: When the water has heated to its required temperature, lower the tenderloin into the water so that it is entirely submerged. It's ok if the top of the bag pokes out of the water as long as the tenderloin itself is submerged. Cook for 2 1/2 to 3 hours, but avoid cooking for much longer or the beef will start to get a little soft and mushy. 6 Sear the tenderloin a second time: When the tenderloin is done, lift it from the water and place the bag on a kitchen towel. Heat the remaining tablespoon of oil in the skillet over medium-high heat until a drop of water sizzles and evaporates on contact. Use tongs to lift the roast from the bag and transfer it to the skillet. Be careful—it will sputter! Sear for 30 to 60 seconds on all sides, until the outside is even more deeply browned and a crust has formed. Transfer the tenderloin to a cutting board and rest for 5 to 10 minutes. 7 Deglaze the pan: With the pan still over medium-high heat, pour in the sauce directly from the bag into the pan (discard the sprigs of thyme). Simmer for about a minute and scrape up any browned bits stuck to the bottom of the pan. Carefully transfer the sauce to a serving cup. 8 Slice and serve the tenderloin: Cut through the twine and discard. Slice the tenderloin either into thick "filet mignon" steaks (one steak per person), or into thinner "roast beef" slices (3 or 4 slices per person). Serve immediately with the sauce. Hello! All photos and content are copyright protected. Please do not use our photos without prior written permission. If you wish to republish this recipe, please rewrite the recipe in your own unique words and link back to Sous Vide Beef Tenderloin with Port Wine and Garlic on Simply Recipes. Thank you! The temperature was wrong. 140 for medium rare at 2.5 hrs produced a well done tenderloin. While favor was still good, it was a very expensive cut of meat to eat well done. Not a touch of pink. Very disappointed. Will cook at 133 going forward. Hi Emma. I have 6.5 lb beef tenderloin and I am wondering about the cooking temperature and time for such a large piece of meat? Also, should I triple the rest of the ingredients since my tenderloin is approximately 3 times the size listed in your ingredients? Hi, Steve! Cooking temperature will be the same. I’d recommend cutting your tenderloin into a two or three equal-sized pieces and cooking them that way (each sealed in its own bag). This will ensure that everything cooks evenly at the cooking times recommended in the recipe and also that you are able to easily seal the tenderloin in the plastic bags. This said, there is another reader on this comment thread who said he cooked a 6 lb tenderloin and didn’t indicate that he cut it into pieces or changed the cooking time, so you’d probably be ok leaving it whole, too! (the reader is Shelton — see his comment below!) And yes, go ahead and triple the amount of everything else so that you have enough liquid surrounding the beef as it cooks. Enjoy! Let us know how it turns out! This recipe was amazing!! Made this for a dinner party and everyone loved it. And the sauce was so good you could drink it! Definitely keeping this one and highly suggest trying it out! Thank you for sharing! I’ve done this a few times already but with 1-2 lb tenderloins. Just did a 6 pound tenderloin yesterday for Christmas Dinner and basically tripled the port wine steps… everyone RAVED! Does the cooking fine change for a 4lb tenderloin? Can’t wait to try. Hi, Kyle! Should be fine! I’d cook for the full three hours, and if you go over a little bit, that would be fine too. Enjoy! Hi – I will have a 6 pound bison tenderloin, should I cut it into smaller pieces before the sous vide? And is the cooking time the same? Also, due to the lower fat content, is the 140 degree setting still accurate for a medium rare roast? Thank you so much. Hi, Susan! Wow, bison tenderloin! Sounds fantastic! Yes, I’d cut it into smaller portions — three 2-pound portions sounds good, though I think that two 3-pound portions would also be fine. This is mostly to allow you to seal the meat properly in the bags and also to fit them into your stock pot (or whatever container you’re using), and it also ensures that everything cooks evenly. I hope this helps! Please let me know how it turns out! Do you think I could do 2.5 lb beef? Hi, Mercedes! Yes, I think 2.5 lbs would work just fine without any changes to the recipe. Enjoy! Hi, Ranae! I haven’t tried this myself, but I see no reason why it wouldn’t work. Go for it! Was looking for something to make for Father’s Day this Sunday. I think I found a winner! I’ll sous vide up the tenderloin in my Coleman Party Stacker cooler and sear it in my giant cast iron skillet heated up on the gas grill. Never did a sous vide tenderloin before, but if my steaks and chops done this way are any indication of how this will turn out, this is going to be a ‘UGE hit! This recipe made me look like a star chef. Guests all loved it. Made this recipe yesterday and it was a tremendous success. The meat was tender and juicy and the double searing gives it a deep and complex flavor. The Port Wine reduction added an excellent complement. I will make this recipe again many times in the future. Thank you for sharing. Can anyone recommend something to use instead of port? My wife is sober and typically cooking with wine is not a problem but I’d imagine this process doesn’t cook the alcohol out. Hi, Jason! What about reducing a cup of good-quality grape juice down to 1/2 cup, and then using that? I feel like that would have a similar fruity, sweet, rich flavor to port. Let us know if you give it a try! Hi, Asami! You can definitely re-use the bags! I don’t usually re-use them for sous vide cooking because I think the seams start to get a little weak, but do reuse them for regular kitchen things like storing leftovers, washed greens, and so on. I actually re-use my plastic bags for a LONG time! I recently started with sous vide cooking, and love every beef recipe I’ve tried. The one quibble I’ve had is that no gravy/sauce I’ve made from the juices in the bag taste quite right. The rarer the meat the more the juice ‘curdles’ and looks revolting. I’m going to try making the sauce first next time – sounds like a brilliant idea. Thanks! You’re welcome! Definitely let me know if you try the recipe!